Vitamin D can be found in various types of foods, including fish, mackerel, sardines, and tuna. The issue is that you can’t find vitamin D in many products, so they are added to dairy products, juices, and cereals. Although consuming vitamin D-rich foods can help you fight vitamin D deficiency, the most prominent source of it for your body is exposure to sunlight. In 2007, a study showed that people who were taking normal doses of vitamin D were seven percent more likely to live longer than those who did not take their daily supplements. A year after that study, another study was done that illustrated that women who had low vitamin D levels had a higher chance of getting breast cancer, as well as a higher chance of dying from that cancer, than women with normal vitamin D levels. There is only one way to know if you are vitamin D deficient: by taking a blood test. Outside of that process, there are symptoms that you can watch out for. If any of these symptoms apply to you, you may want to get that blood test done sooner rather than later. Naturally, African Americans have the greatest risk of vitamin D deficiency. The reason for this is that their dark skin requires as much as 10 times more exposure to the sun to produce the same amount of vitamin D that a person with pale skin would require. Because skin pigment acts as sunscreen, the more pigment you have, the longer you will need to stay in the sun. The brain hormone serotonin, which is associated with mood elevation, rises with exposure to bright light (in this case, sunlight) and decreases if there is less light and sun exposure. In 2006, a study done on 80 elderly individuals found that those who had low levels of vitamin D were actually 11 times more prone to be depressed than those who had a healthy dose of the vitamin. As you age, your skin does not produce enough vitamin D from sun exposure as it would have when you were younger. In addition, your kidneys do not convert vitamin D into the body as efficiently as they would if you were younger. This all ties into the fact that people age 50 or older generally tend to stay indoors more than their younger counterparts. This means they experience less sun exposure, which leads to deficiency in vitamin D.
Because vitamin D is a fat-soluble, hormone-like vitamin, body fat acts like a “sink” that collects it. 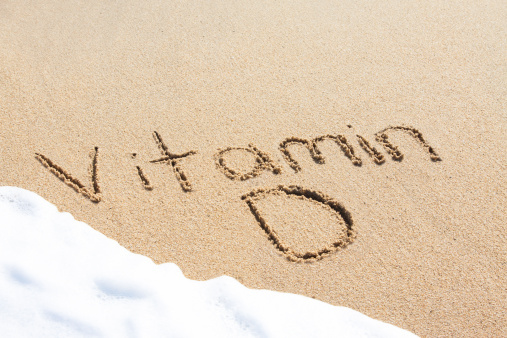 If you are overweight or obese, you will need more vitamin D than someone with a slimmer body. Known to be one of the first signs of vitamin D deficiency, head sweating needs to be monitored. If you experience it on a daily basis, you should contact your doctor. This symptom is particularly common for newborns, which is why physicians ask new mothers about head sweating in particular. As mentioned, vitamin D is a fat-soluble vitamin, so if you have a gastrointestinal condition that will affect your ability to absorb fat, chances are you will have difficulty absorbing fat-soluble vitamins like vitamin D.
In November 2010, the Institute of Medicine’s expert committee released a new dietary reference intake for vitamin D.
The dietary reference is for those who get next to no sunshine but consume large amounts of calcium. The reference is directly for vitamin D diets and supplement dosages. In addition, some people worry that if they spend too much time in the sun, they will overdose on vitamin D–this simply won’t happen. This is because when your skin is exposed to the sun, the UVB rays will cause the vitamin D to be produced in your skin, while the UVA rays from the sunlight will destroy excessive levels of the vitamin D that are circulating in your body. 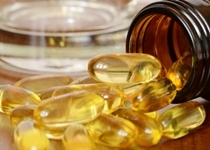 If you are taking vitamin D supplements, do not take any other supplements without consulting your doctor first. Try to avoid using calcium supplements or any antacids without your doctor’s consent and only use the recommended supplements that your doctor prescribes. Deficiency in vitamin D can be very dangerous to the bones and other parts of your body. You can experience rickets, a weakened immune system, increased cancer risk, poor hair growth, and many more conditions. If you cannot make it outdoors often enough to get an ample supply of vitamin D, below are some natural foods that contain high amounts of Vitamin D so you can maintain a healthy balance. Fatty fish can be a good source of vitamin D. It is usually found in salmon, trout, mackerel, tuna, and even eel. More fish with vitamin D are smoked salmon (97% daily value), swordfish (94%), canned trout (86%), salmon (75%), smoked white fish (73%), mackerel (65%), canned mackerel (43%), tuna canned in oil (38%), halibut (33%), herring (30%), sardine (27%), rockfish (26%), tilapia (21%), sole (20%), flounder (20%), and tuna steak (12%). 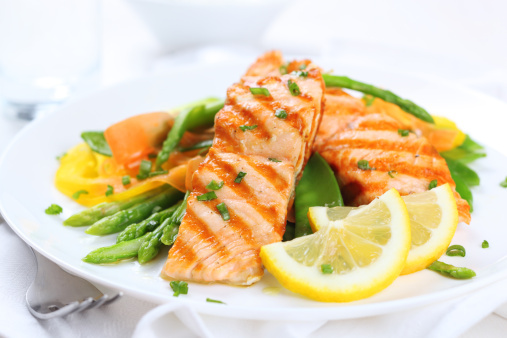 You don’t always need fresh-cut fish in order to boost your vitamin D consumption. Canned tuna and canned sardines both contain a decent percentage of vitamin D and are less expensive to buy than fresh fish. Eating mushrooms is the best way to overcome vitamin D deficiency naturally. Like humans, when mushrooms are exposed to sunlight, they too can produce vitamin D. However, many mushrooms are grown in the dark and do not contain the vitamin. But there are specific ones that do: mushrooms that contain vitamin D are maitake (131%), morel (23%), chanterelle (19%), oyster (four percent), and white (one percent). In the United States, almost all cow’s milk is fortified with vitamin D, unfortunately, ice cream and cheese are not. Other dairy products rich in vitamin D include butter (23%), buttermilk (21%), fortified low-fat fruit yogurt (21%), fortified milk, both regular and goat’s milk (21%), fortified semi-skimmed milk (20%), and fortified skimmed milk (19%). Eggs are one of the most popular ways of treating vitamin d deficiency symptoms. Because the vitamin D comes from the yolk, it is important to not just eat the whites, but the entire egg. Variations include scrambled, poached and omelet (seven percent), duck egg (eight percent), and Goose Egg (16%). If you like having a bit of a crunch with the food you eat, look in the direction of fortified cereal. If you are vitamin D deficient, try choosing a low-calorie type of cereal, like Cheerios, to get part of your daily intake of vitamin D. You can also complement that with fortified milk to gain even more vitamin D. Fortified cereals containing vitamin D include Total Raisin Bran (17%), Kellogg’s Raisin Bran (15%), Kellogg’s Rice Krispies (14%), Kellogg’s Frosted Flakes (nine percent), Kellogg’s All Bran (nine percent), Lucky Charms, Cheerios, Kellogg’s All-Bran Complete Wheat Flakes (seven percent), and Special K (seven percent). The name might not sound very appetizing, but many add mint or citrus to it for some added flavor. You’ve been informed about the benefits and side effects of consuming high levels of vitamin D and natural ways to treat vitamin D deficiency. Now, What you should also realize is that when you’re exposing yourself to sunlight, it does not have to be from lying on a beach. It would be relaxing, but you can also try simple activities such as sports, walking the dog, or going to the park. Getting your vitamin D can be beneficial to the rest of your body, just remember to protect your skin by applying sunscreen when going outside for extended periods of time. Exercising never hurts either, as it will keep your heart strong and the vitamin D in full supply.